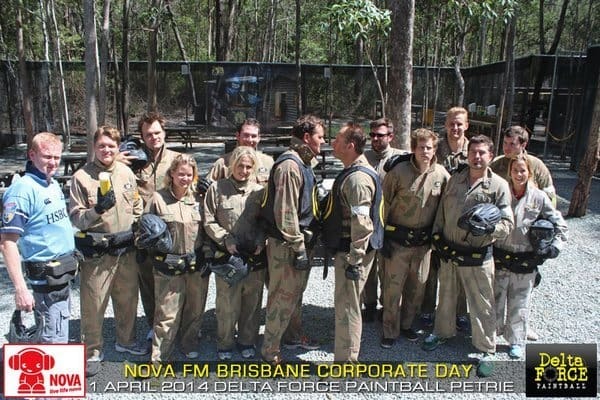 Paintballing Pavarotti at Delta Force Brisbane! 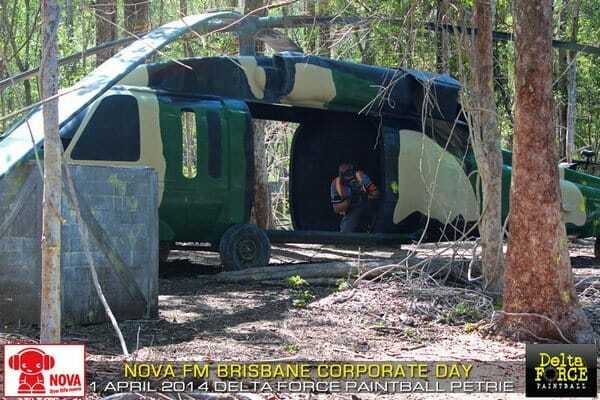 This is no April Fool’s gag – this brave tenor really did take on a barrage of paintballs to pretty much every part of his body on the battlefield of the Black Hawk Down game zone at Delta Force Paintball Brisbane, with some hits proving to be ‘below the belt’! A regular featurette for the Australian radio show Nova FM, this is the latest edition of Extreme Karaoke – with previous challenges including ‘Mousetrap Minefield’ and ‘Sumo Slam’, you get a good idea of the theme behind it! Having to sing Pavarotti’s Nessun Dorma is probably a difficult enough task as it, let alone with the experienced Delta Force Paintball staff using highly accurate upgrade paintball guns to give Fraser from Daisy Hill a more colourful, fresher look! Thankfully, even as the Nova FM crew had a good laugh, the highly protective gear meant he was in safe hands. The next day saw the Nova FM girls, Mandy, Abby and Ange discuss the appeal of paintballing to girls as well as guys on air during the morning show, which is fantastic as this sport is the right fit for everyone, regardless of ability or gender. So get involved today – contact our booking team on 0203 869 9301to discover the ultimate paintball rush.